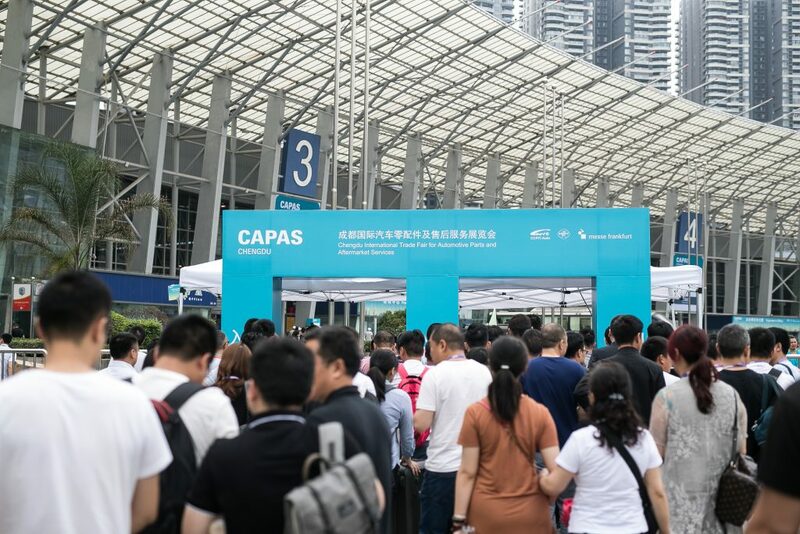 The fifth edition of The Chengdu International Trade Fair for Automotive Parts and Aftermarket Services (CAPAS) successfully concluded on 26 May 2018 at the Chengdu Century City New International Convention and Exhibition Center in China. As a platform for the automotive industry in Southwest China, this year CAPAS gathered 583 exhibitors (a 12 per cent increase) from China, France, Germany, Hong Kong, Japan, Korea, Singapore, Spain, Taiwan and the US. Each of these industry leaders gathered together with 18,016 visitors (a four per cent increase) across 45,000m2 of exhibition space. Following the show’s conclusion, Fiona Chiew, Deputy General Manager of Messe Frankfurt (Shanghai) Co Ltd, said she was pleased to see how CAPAS has grown alongside the industry. This year, CAPAS featured six theme zones on the show floor: the Automobile Lifestyle Zone, the Commercial Vehicle Zone, the E-mobility & Infrastructure Zone, the Made in Sichuan Zone, the Quick Fix, Replacement Parts & Chain Stores Zone and the Supply Chain Procurement Zone. Positive feedback suggested that the clear zonings and complete range of product offerings helped buyers and exhibitors to have a more efficient business matching experience during the fair. CAPAS launched the Quick Fix, Replacement Parts & Chain Stores Zone, attracting many well-known chain store brands to participate such as Fix Auto, GAPE China, Jingdian Auto, Tyreplus and more. Fix Auto made its debut appearance at CAPAS, using the zone to target the fast-developing Southwest China market. Speaking at the show was John Zhou, Vice President for China Regions. He said: “During CAPAS, we are featuring an integrated services package for the repair market, assisting the companies in creating standardised service procedures whilst also improving their operations, productivity, competitiveness and costs.